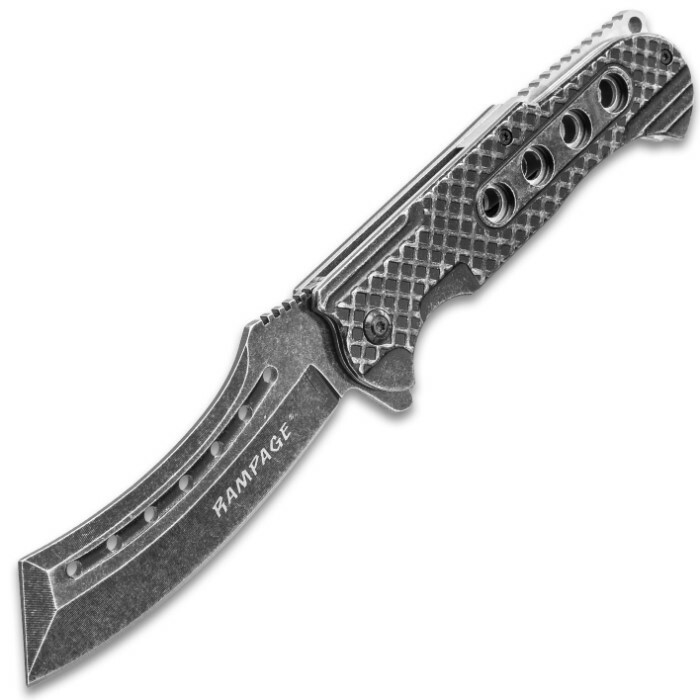 Rampage Stonewashed Speedster Assisted Opening Pocket Knife - Stainless Steel Blade, Stainless Steel Handle, Pocket Clip | BUDK.com - Knives & Swords At The Lowest Prices! 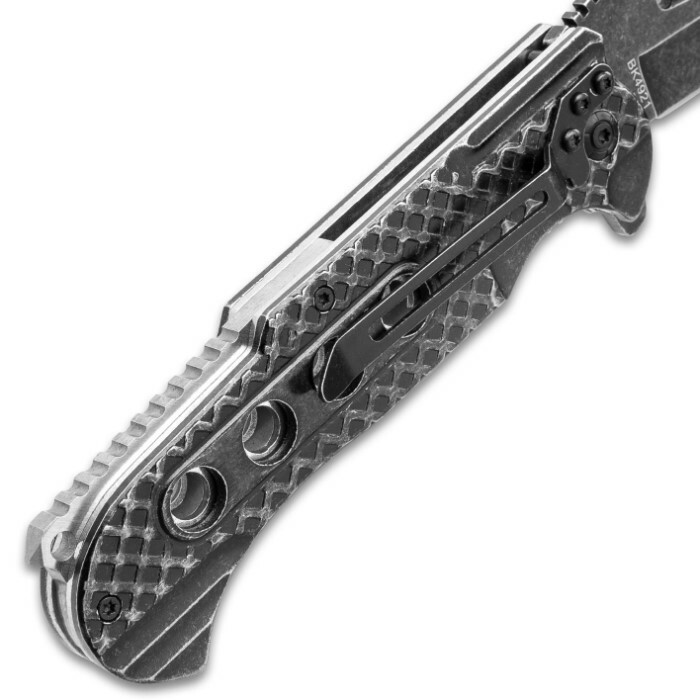 The Rampage Stonewashed Speedster Assisted Opening Pocket Knife offers you lightning fast deployment and a sharp and ready blade to work with. 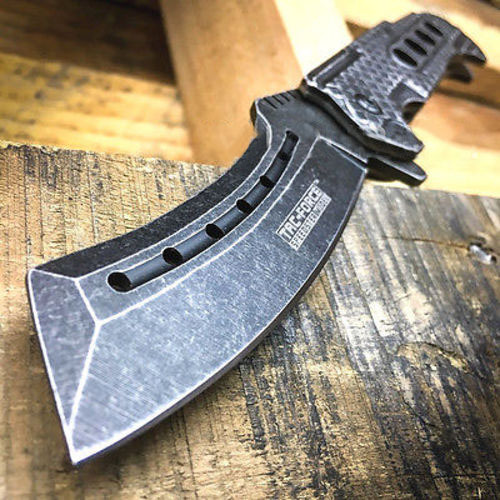 The 4” stainless steel Samurai-style blade is 3.5 mm thick and has a stonewashed finish and a deep blood groove with thru-holes. 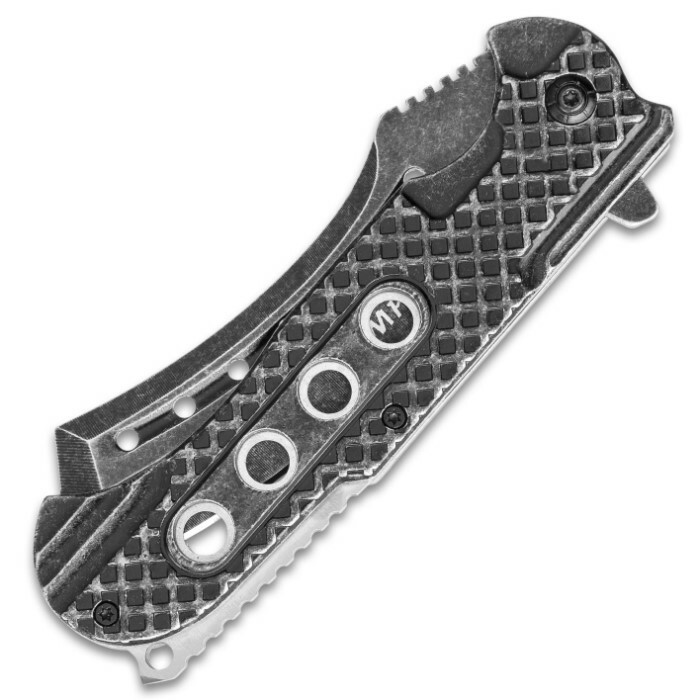 The heavily textured handle is crafted of stainless steel and has a stonewashed finish and it also has thru-holes to reduce the overall weight of the pocket knife. 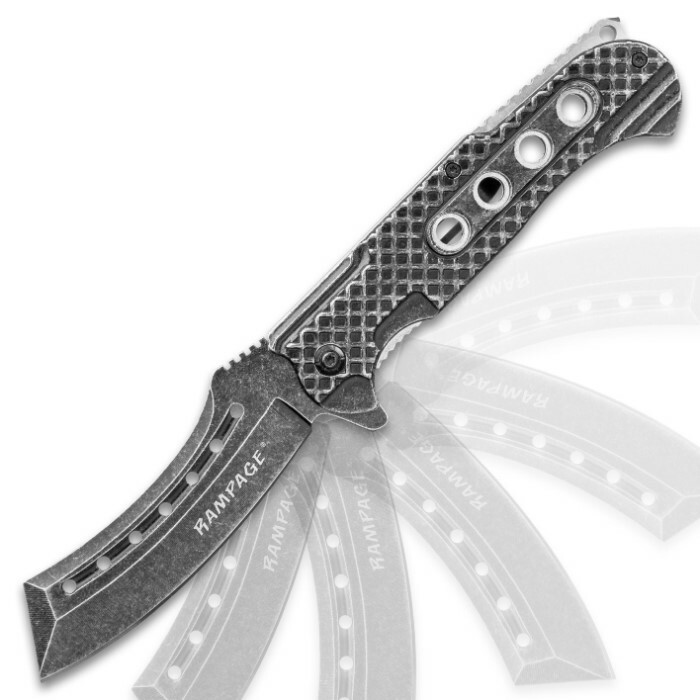 The stainless steel liners are extended to feature a lanyard hole and they also have jimping to add to the knife’s grippy feel. 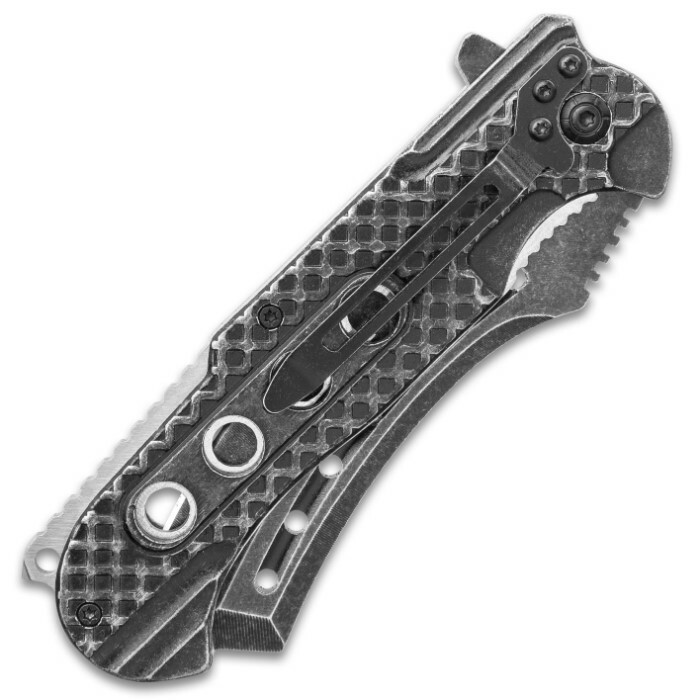 The assisted opening pocket knife is 5" when closed and the sturdy stainless steel pocket clip gives you an easy carry option. Bought this knife due to how unique the blade looked, and I am not disappointed. This is a beautiful knife and has weight to it. Bought this due to the unique look of the blade, and I'm very happy with it. Knife is good weight, size, and the blade design is unique.